Patient paperwork before your first visit. Save time and fill out your paperwork. HOW TO TREAT YOUR ISSUE? We are a comprehensive pain clinic that was founded with the intention of responsibly helping people find a solution to their pain as opposed to just treating symptoms. We pride ourselves in having a professional, courteous, and well-trained staff to attend to each individual patient’s needs. We seek to identify the primary source of pain in each patient and treat this in the least invasive manner. A comprehensive and holistic treatment plan is developed for each individual to fix the problem, if possible, or manage the pain in the most effective way. Our goal is to help maximize the function and health of our patients. Get to the source of the pain. Our massage therapists will help relieve the pain you are experiencing. 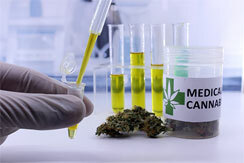 Cannabis has some amazing healing properties for a wide variety of health problems that are being unlocked and revealed through ongoing medical research.